Some former workers of Med View Airline have called on the National Pension Commission (PenCom) to intervene in payment of their pension entitlements. 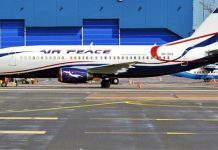 The affected workers told newsmen in Lagos last Tuesday that the airline stopped remitting their pension entitlements to their Retirement Savings Accounts (RSA) since 2015 even when they were still working. They alleged that the company had since stopped paying their deducted savings and the company’s counterpart contributions to their RSAs. The workers said they had made several appeals to airline’s management which had refused to listen to their appeals. They said the refusal of Med View Airline to pay their pension entitlements was a breach of the PenCom laws, hence the appeal for PenCom’s intervention. One of the staff who spoke to newsmen on condition of anonymity, alleged that the airline had also refused to remit deductions from salaries of Med View Airline’s staff thrift and cooperative society. “The executives of the society cannot and would not demand for the society members’ deductions for the fear of being sacked. “Both the ex-staff and the present employees in Med View have more than 36 months,” said the aggrieved ex-staff of the airline. A letter from a Pension Fund Administrator of one of the workers, sighted by newsmen, confirmed that his pension deduction by Med View Airline was stopped in January 2015, while he was still working with the company. The letter read: “The quarterly statement of your RSA confirmed that the last remittance was made in January 2015. The workers, who have since been disengaged by Med View without any terminal benefits, described their current situation as pathetic and called on Pencom to intervene as prescribed by the Pencom Act. 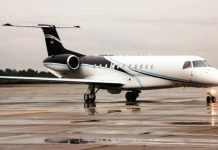 When contacted, Mr Oyibhota Obuke, Med View Airline’s Media Consultant, said the issue was purely an internal affair of the company, and described it as an employee-employer affair which would be resolved soon. He, however, said the airline had been meeting its obligations to workers contrary to claims by some former workers. The head of research and Corporate Strategy in Pencom, Aminu Farouk, told newsmen that the issue had not been brought to the attention of Pencom. He said advised the aggrieved ex-workers of Med View to write formally to PenCom, assuring them of the readiness of commission to intervene in the matter. “PenCom will investigate the matter and ensure justice is done, we are awaiting official and situation report from the pensioners,” Farouk said.